Combine Sports articles with affiliate links to sporting-gear on Amazon, and you're in the money. Very few quality sports items sell for less than $100. A high-end fishing rod will set you back $1000+. Take your cut of that cost when linking out from these articles. 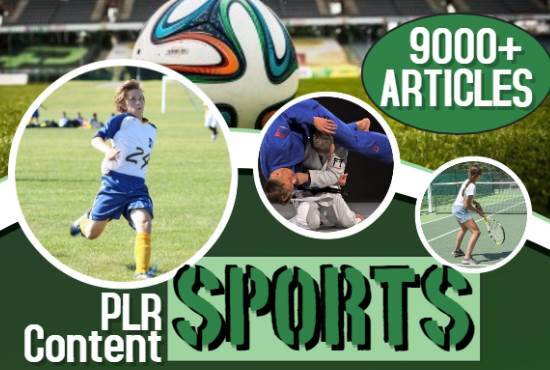 9,000+ sports articles, with public label rights (PLR). sub-categories to make your life easier. 9000 Sports PLR Articles bundle is ranked 5 out of 5. Based on 1 user reviews.